ARM has been a big name in chipset manufacturing. With the growing prowess of chipset these days, many SoCs have become capable of powering laptops which perform with maximum efficiency and can even take on a day’s worth of work thanks to the latest technology. News has also surfaced that Apple is working on its ARM powered MacBook. 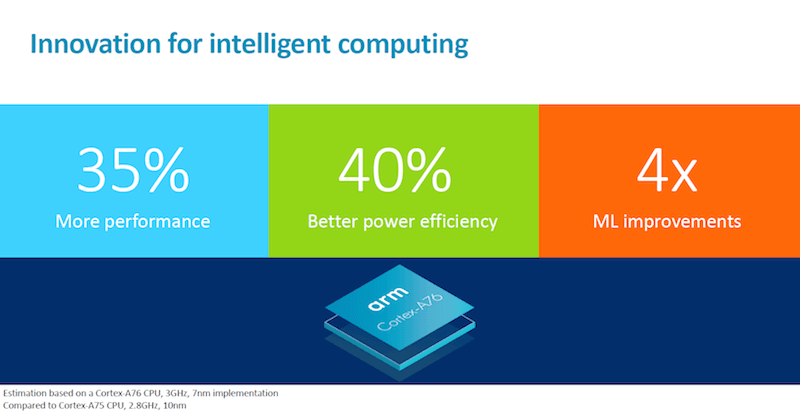 In the meanwhile, the ARM has announced that it is going to launch chips which will deliver “laptop-class” performance along with mobile-like efficiency. This new product that we are talking about is the ARM Cortex A76 CPU which is touted to deliver 35% faster performance and 40% less power consumption. On the other hand, the Mali-G76 GPU has been touted to facilitate “untethered gaming” and on-device machine learning (ML). The GPU has been proclaimed to work with 30% higher efficiency and performance. The third in the series is the Mali-V76 VPU which will support UHD 8K video on various devices. The prime highlight of the newly launched line-up is the Cortex A76 which according to company’s claims, will double the performance of ARM laptops in the near future and it will do so without eating a lot of power. 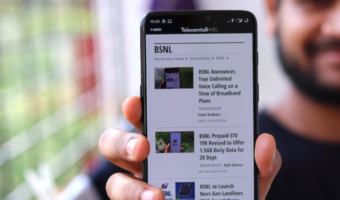 As per the company’s claims, it can be assumed that ARM is headed towards supporting 5G technology since performance and power efficiency are going to be two pillars which will be required for the fluid functioning of 5G. With every chipset manufacturer focusing on AI, ARM is no exception to the crowd since it has debuted its new chipset with focus on Machine Learning. It is company’s claim that the chip should deliver four times the performance of its predecessor. The Cortex A76 CPU, which is the highlight of the entire launch will be built on high-tech architecture with 7nm process technology and will deliver speeds of up to 3.0 GHz. 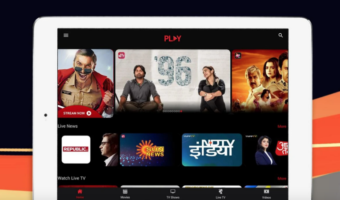 Going on its conventional path, ARM did not make any revelation about the commercial products that will make use of its new CPU and GPU which it has developed. Although the company has shied away from making any statements about the products which will feature ARM chips, it goes without saying that a lot of Android devices are going to sport the hardware by ARM since they are expected to take Android phones to the level of Apple which the Cupertino based company has attained thanks to its A-series chipsets. Read the fine print on second image. The 35% performance improvement claim is misleading, considering they compared 10nm Cortex-A75 @ 2.8 GHz to 7nm Cortex-A76 @ 3.0 GHz.